Maintain a singular focus – Know what your big goal and purpose are and remind your team on a regular basis. Post signs, email reminders, and have regular discussions to keep you and your team focused on what matters. Manage messages – What you say about what you are doing is just as important as what you are doing. Just as Super Bowl teams try to keep their players on the same page, sticking to the team script, and speaking positively about the game, the experience, and the competition, having clear messages about your initiative, your progress, your results, and your actions is critical to your success. Know your roles – Football players are trained to excel in their positions on the team and the success of the team relies on players performing well in their roles. To be successful, everyone on the team must know and understand his or her role and how it fits into the rest of the team’s responsibilities. Have a game plan – The best way to stay on course with a big initiative is to have a plan in place. Big initiatives usually have many moving parts and lots of action steps going on at once, so it is essential to have a project plan, communicate the plan, refer to the plan, and adjust the plan as needed to reach your goals. Shut out distractions – Many of the Super Bowl coaches and players talked about the importance of eliminating distractions, staying focused, and not listening to naysayers. As individuals and as a team they had rituals and practices in place to help them stay on course and not fall victim to energy and time wasters. In leading your initiative, be aware of the distractions that may impact your team and help your team to eliminate them. If there are naysayers or other negative influences putting a damper on your initiative, take a cue from Super Bowl teams and use the negativity as motivation to succeed. Build a fan base – Just as every football team needs devoted fans, your team needs supporters and cheerleaders too. Look to create allies who can provide resources, remove obstacles, advocate for your efforts, and add to the “buzz” about all of the great things you and your team are doing for the organization. Character counts – How you go about achieving your team goals is just as, if not more, important than what you achieve. Being clear on the values your team will abide by and the characteristics they will be known for will help to set a positive direction and culture. Our recent blog post, Grit is a leadership competency, explored character traits such as grit as an indicator of success. For a fun exercise, have the team identify team strengths, purpose, and characteristics. Then, based on the most compelling and relevant descriptors, have the group come up with a superhero name that matches what your team wants to be known for. Keep these things in mind and pretty soon your team will be ready for their ticker tape parade! How have you led your team like Super Bowl champions? 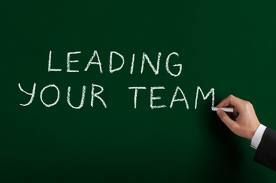 For help in leading your team more effectively, contact Robyn at rmcleod@chatsworthconsulting.com.